The disgraced scientist that claims to have genetically edited two human children is under continued house arrest as fears grow he may face the death penalty. He Jiankui may face being charged with bribery and corruption – crimes which are punishable by death in the country. Colleagues are peers of Dr He have spoke about the severe punishment the exiled geneticist could face as a result of his abominable research. Professor Robin Lovell-Badge, of the Francis Crick Institute in London, said ‘quite a few people have lost their heads for corruption’. 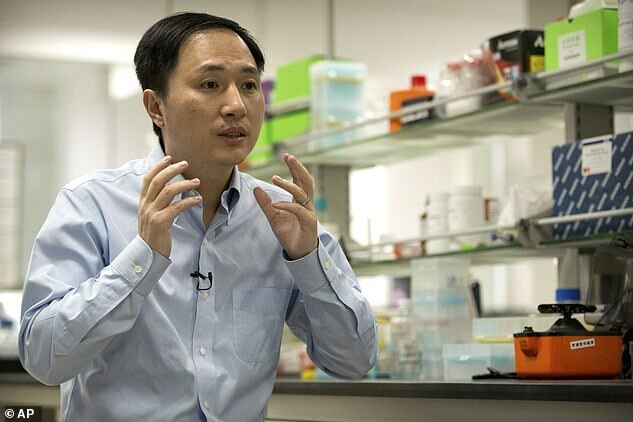 The scientific world and the general public were stunned when Dr He Jiankui released his YouTube video claiming to have successfully created gene edited human twins. Academics condemned his unethical actions and slammed his procedure, intentions and whimsical approach to morality. It is believed he is under constant watch by armed guards following death threats and imminent legal proceedings. Punishment for his actions would likely be severe and some have speculated it could result in the death penalty. William Nee, China Researcher at Amnesty International, said: ‘China executes more people than any other country in the world, and the country’s death penalty system is shrouded in secrecy. ‘Suspects often do not have access to lawyers during key phases of the legal process and the use of torture to extract forced confessions is rife. British-based that academics claim to have had contact with the ostracised scientist say he may be facing charges of bribery and corruption – crimes which come with capital punishment in the Asian superpower. He has been unable to leave his state owned apartment in Shenzhen since December. ‘All the reports suggest he is an university owned apartment and there a quite a number of guards. It’s not clear whether he’s under guard, meaning house arrest or the guards are there to protect him. I suspect both,’ Professor Lovell-Badge said at a conference, The Telegraph reports. ‘There is an official investigation led by the ministries of science and health. ‘Lots of people are probably going to lose their jobs, he wasn’t the only involved in this obviously. So how has he got them to do all this work? ‘He could be had up on all sorts of charges of corruption and being guilty of corruption in China these days is not something you want to be. Dr He trained as a physicist, not a biologist, and was therefore unqualified and likely unable to carry out the research himself. Professor Lovell-Badge added: ‘He really thought that he was doing good, that what he was doing was the next big thing, and really important for the good of mankind. ‘Pretty much everyone he talked to had said ‘don’t do it.’ We’d heard he had ethical approval, so we were getting scared. But clearly it was all too late. The two children, LuLu and Nana, were born in October, it is believed, and were designed to have a resistance to infection with HIV, the AIDS virus. These potentially dangerous changes may then be passed down to future generations, a field of research still in its infancy and widely unknown. He’s controversial work, which earned him the nickname of ‘Chinese Frankenstein’, was condemned by the medical community and Chinese health officials, who said they know nothing of the experiment. 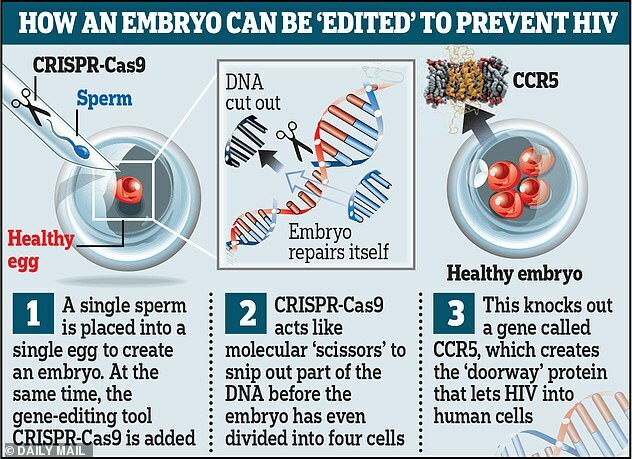 Gene editing is banned in Britain, the US many other parts of the world, and researchers said that, if Dr He’s claims are true, the ‘monstrous’ experiment was ‘not morally or ethically defensible’. 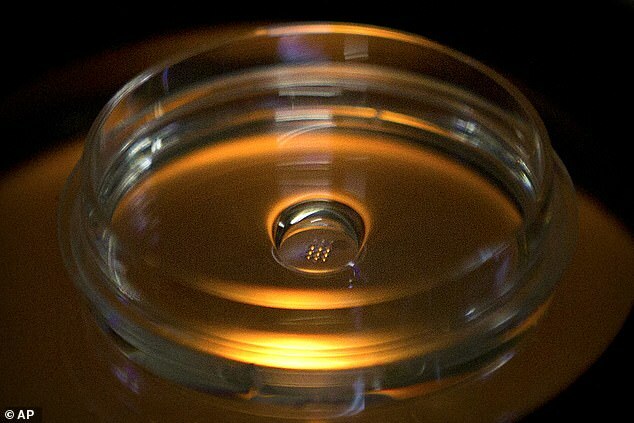 Dr Jiankui, previously of the Southern University of Science and Technology, in Shenzhen, said he altered embryos for seven couples during fertility treatments, with one pregnancy resulting thus far. He said at the time his goal was not to cure or prevent an inherited disease, but to try to bestow a trait that few people naturally have – an ability to resist infection with HIV. 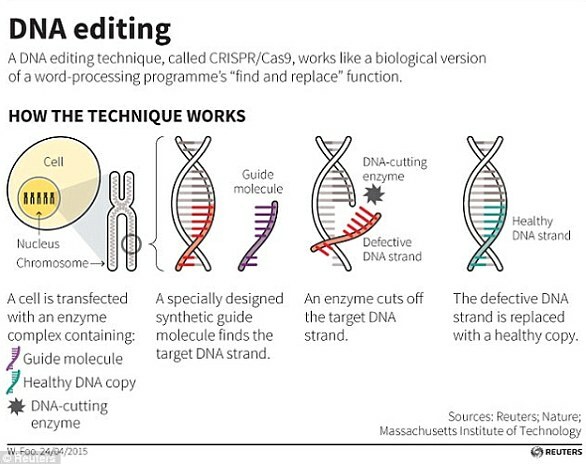 It’s ‘unconscionable … an experiment on human beings that is not morally or ethically defensible,’ said Dr Kiran Musunuru, a University of Pennsylvania gene editing expert and editor of a genetics journal. Dr He Jiankui, who goes by ‘JK,’ studied at Rice and Stanford universities in the US before returning to his homeland to open a lab at Southern University of Science and Technology of China in Shenzhen, where he also has two genetics companies. All of the men in the project had HIV and all of the women did not, but the gene editing was not aimed at preventing the small risk of transmission, Dr He said. The fathers had their infections deeply suppressed by standard HIV medicines and there are simple ways to keep them from infecting offspring that do not involve altering genes. Dr He recruited couples through a Beijing-based AIDS advocacy group called Baihualin.